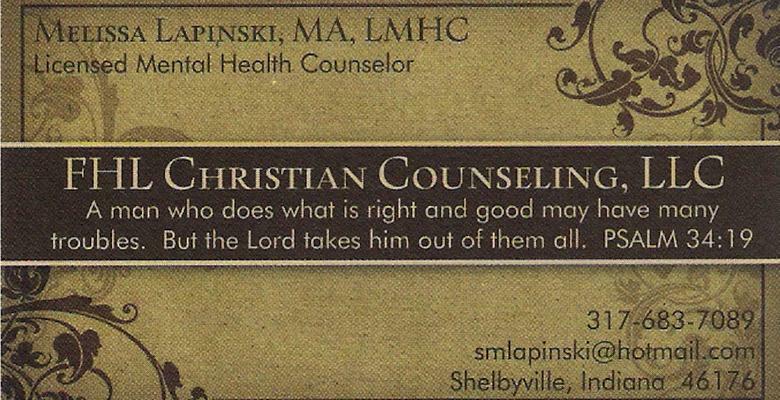 Whether you are struggling with a particular issue or just can't shake the feeling that there should be more to life, FHL Christian Counseling, LLC can help. I provide a caring environment in which you can identify and explore those issues that may be getting in the way of a more rewarding home life, career, or more fulfilling relationships. The goal is to help provide you with the insights and tools you need to move beyond old, limiting beliefs and/or behaviors. Call 317-683-7089 today to learn more or to book an appointment.